I had a recent opportunity to check out Carmel Cafe's spring 2013 menu. 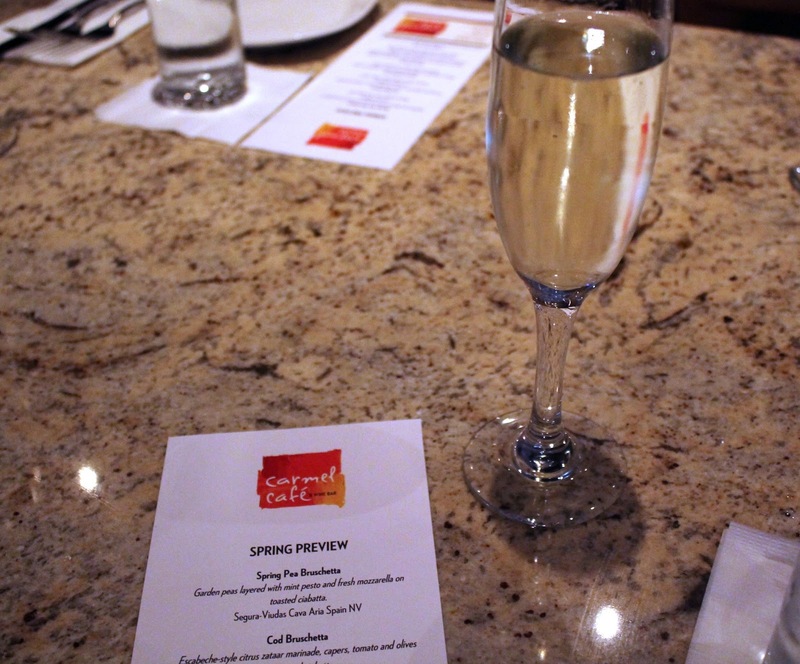 There were a few surprises and standouts of the night and I urge you to stop by Carmel Cafe during the spring and experience this menu for yourself! My ultimate surprise of the night was the Spring Pea Bruschetta: Grasp yourselves - Garden peas layered with mint pesto and fresh mozzarella on toasted ciabatta. I went for seconds and thirds. 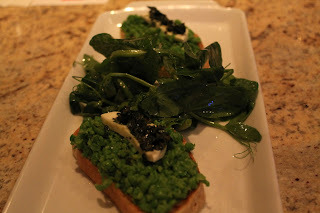 The bruschetta was topped with the vine of a pea, something I have never ate nor seen before this night. It was excellent, fresh and light. Paired with a glass of Segura-Viudas Cava, I couldn't think of a better way to start off our meal. 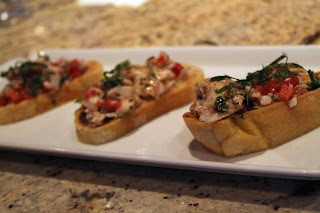 Our second course of the night was Cod Bruschetta. I will be honest that this was not my favorite, it was a little too strong of a fish for me. Escabeche-style citrus zataar marinade, capers, tomato and olives on toasted ciabatta. This was paired with a glass of Swanson Pinot Grigio from Napa Valley. One of Carmel Cafe's new craft cocktails is the Spring Tea and friends, I really liked this drink. Now prepare yourselves for this - it was Silver Tequila and Moscato! 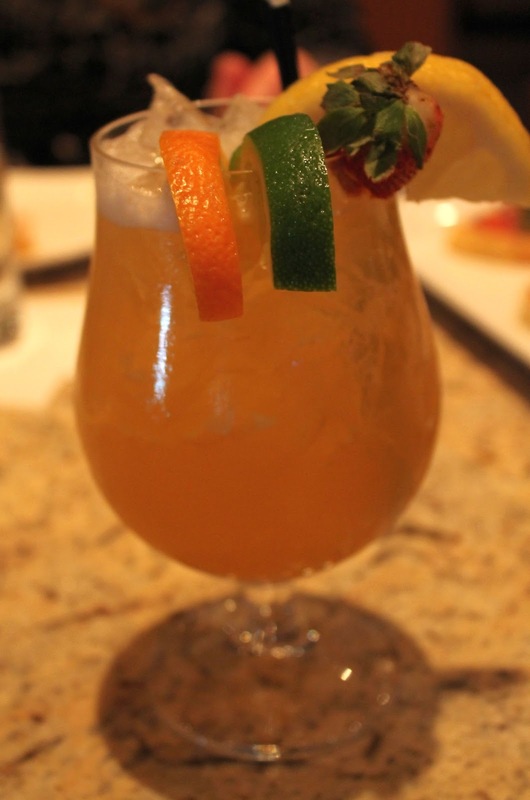 It reminded me of a sweet margarita and I vision myself drinking many of them poolside. 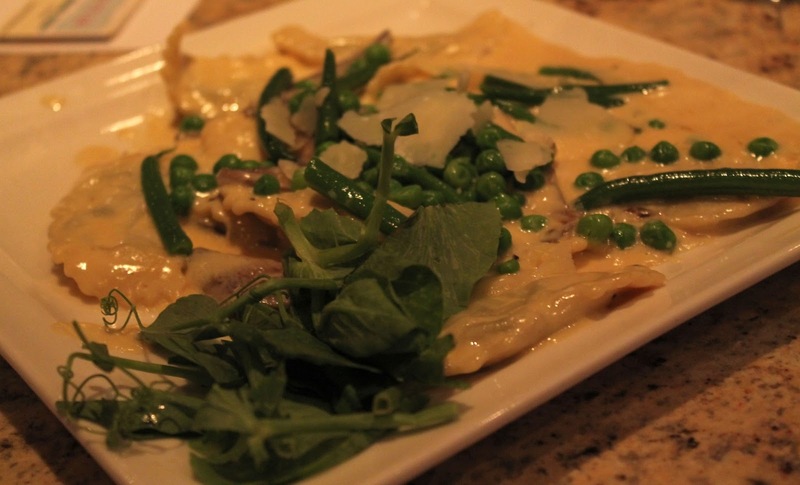 Moving over to the entrees, we started with the Ravioli Verde: Spinach and Ricotta ravioli topped with fresh peas, portabello mushrooms, green beans, pea shoots and finished with shaved Parmesan and a truffle-infused sauce. Before this dish hit our table, my friend Lauren exclaimed, "I smell truffles!!". Although I frequently state I am not a fan of truffles, I really liked this dish and it paired perfect with a glass of Vega Sindoa Chardonnay Navarra from Spain. 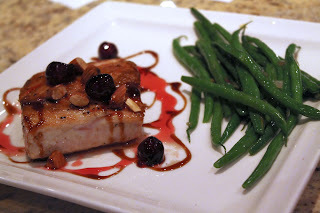 Out next was a grilled local Mahi Mahi with blood orange-infused cherries, toasted California almonds and balsamic glaze. This fish was served with seasoned haricot verts. The wine pairing was my favorite of the night - Acrobat King Estate Pinot Noir from Oregon. I LOVED this wine. Another one of Carmel Cafes new specialty craft cocktails was the Strawberry Rickey, a cocktail blended of Gin and fresh strawberries. 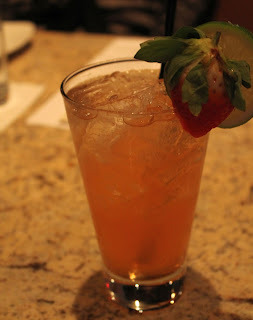 I am not a huge fan of Gin but I did enjoy this drink. Our final dish of the night was my favorite entree, Tunisian Chicken. 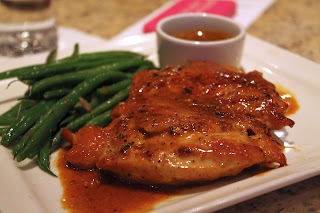 This amazing flavorful chicken featured a blend of 14 spices and was served with a Tunisian dipping sauce. It was delicious. This dish was paired with Sledgehammer Red Zinfandel which the perfect companion to this spicy dish. NOM!!! Ok, I said that pea bruschetta seemed weird but I think you sold me! That ravioli also sounds delicious! I hate to say this...but that cod was probably not very fresh :( Cod is a very mild fish sooo their bad on that one..